The Black Gold Bonus Annuity Series is a Single Premium Deferred Annuity that can be a powerful tool to help you prepare for retirement. Our Black Gold Products pay an attractive bonus on your single premium payment and allow you to earn an annual rate of return that is highly competitive and tax deferred. The power of tax deferral gives you the advantage of paying no taxes on your earnings until you withdraw your funds. The Black Gold Bonus 10 Annuity offers a bonus on your single premium deposit! Black Gold Bonus 10 is credited with an initial premium bonus that accelerates your growth. The Black Gold Bonus 10 Annuity offers a guaranteed rate of return for the life of the contract. This offers you peace of mind in knowing that your money is growing and is safe! The Black Gold Bonus 10 Annuity annual rate of return is guaranteed for one year. You will receive the newly declared rate each year as declared by the board of directors. The Black Gold Bonus 10 Annuity has no annual fees. The Black Gold Bonus 10 Annuity gives you flexibility in choosing a payment structure that is right for you in the event you choose to withdraw your funds in the form of payments for your retirement. You can begin a Black Gold Bonus 10 Annuity for as little as $10,000. Single premium payments are accepted up to $250,000. 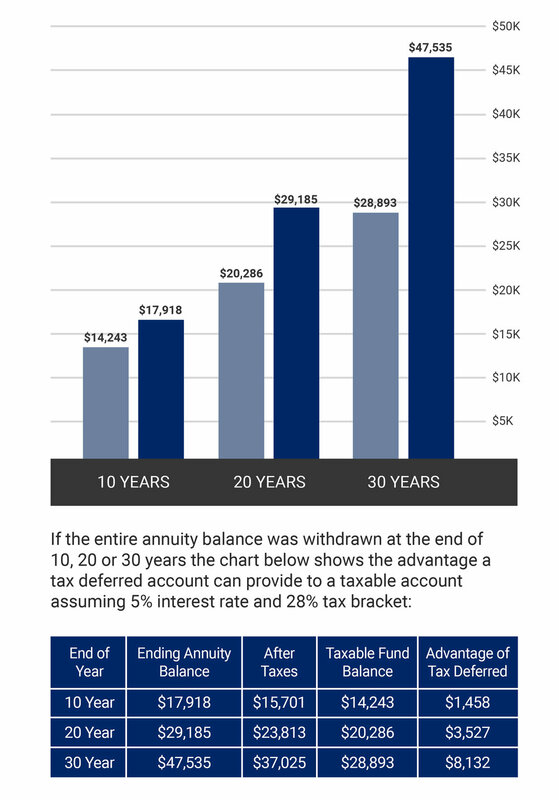 The Black Gold Bonus 10 Annuity can be purchased from ages 0 - 85. The surrender charges on the Black Gold Bonus 10 Annuity decrease over the life of the maturity period. The Black Gold Bonus 10 surrender charges decrease to zero over the 10 year maturity period. Black Gold Bonus 10 Annuity provides Annuitant multiple future income structures. Free Partial Withdrawals, beginning in the second policy year, the owner may withdraw up to 10% of the Accumulation Value.